What will happen when I save screenshots? They'll still be saved to your Clipboard as before, so you can immediately paste them. They'll also be saved to the "OneDrive/Pictures/Screenshots" folder on your PC and automatically uploaded to your online storage. You can get to the folder in File Explorer by opening OneDrive in the left folder pane. How much does it cost to store files in OneDrive? You get free storage with OneDrive and can buy more storage if you need it. Most people are surprised by how much they can fit in their free OneDrive storage. If you use a metered Internet connection, data rates will apply. See the next section for more info about minimizing your connection charges. Will my screenshots upload right away? Yes, if you're connected to the Internet. If you want to take screenshots that you don't want to upload immediately, you can temporarily turn off your network connection before you take screenshots and while you make any changes to them. When I add screenshots to OneDrive, how can I get to them? You can get to them by going to the OneDrive website from any device with a web browser that's connected to the Internet. 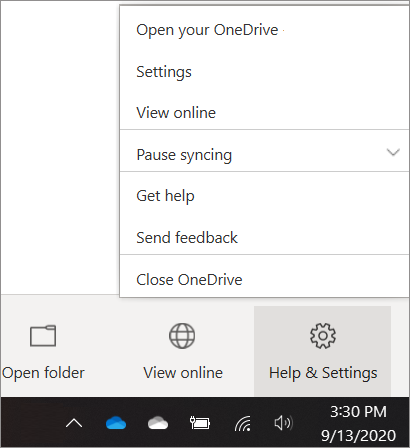 You can also get to them by using the OneDrive app on a device with an Internet connection. Get OneDrive apps. Are there any screenshots I can't save to OneDrive? Screenshots can't be more than 10 GB in size. Some kinds of content are also prohibited. For more info, check the code of conduct. For work-related screenshots, we recommend using OneDrive for Business. If I no longer want to automatically save screenshots to OneDrive, how can I turn off this setting? Select the OneDrive cloud icon in the Windows taskbar notification area. Select the Auto save tab, and then clear the Automatically save screenshots I capture to OneDrive box.